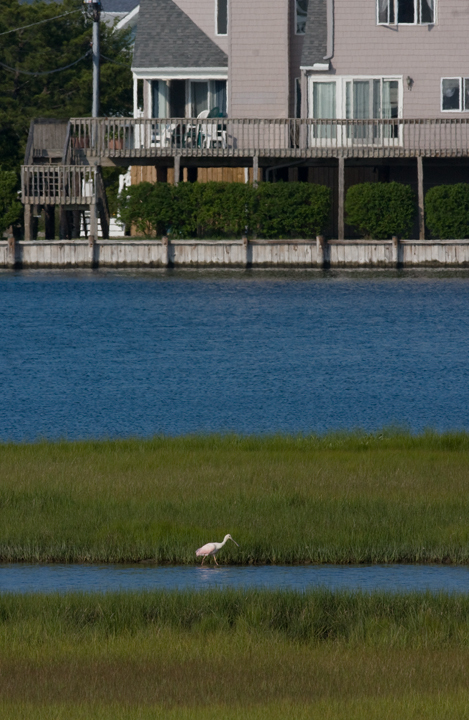 IBA surveys in Southern Maryland. 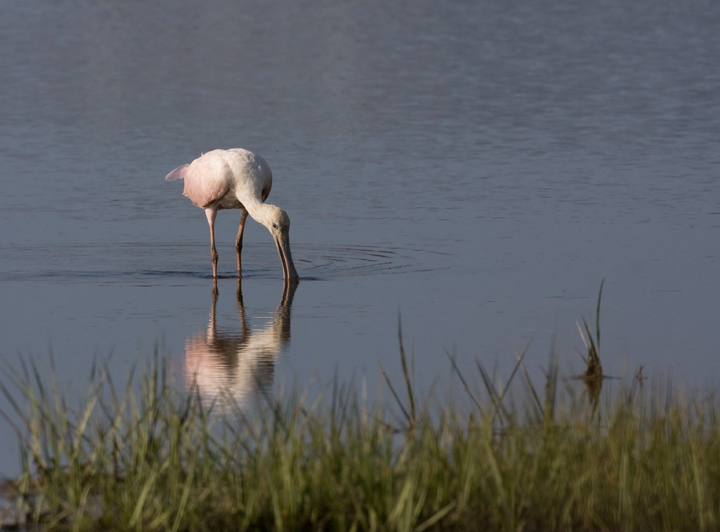 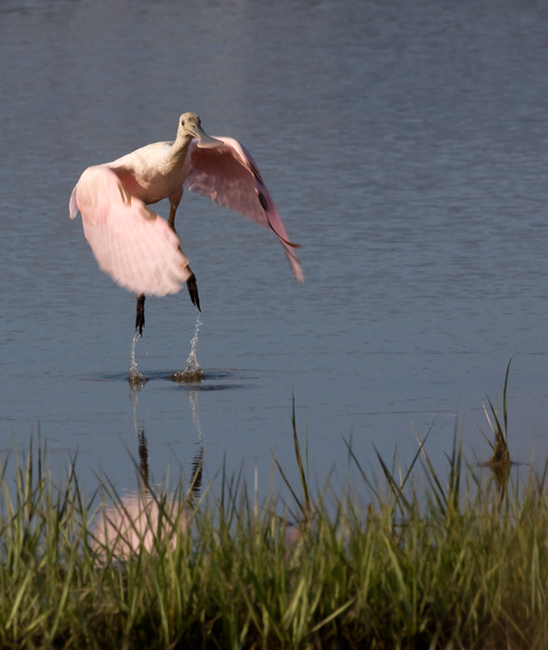 Delaware's first Roseate Spoonbill. 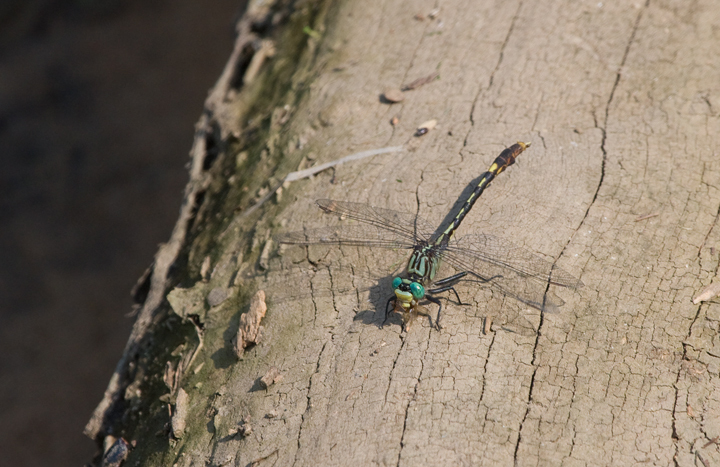 Last updated: 7/9/2009. 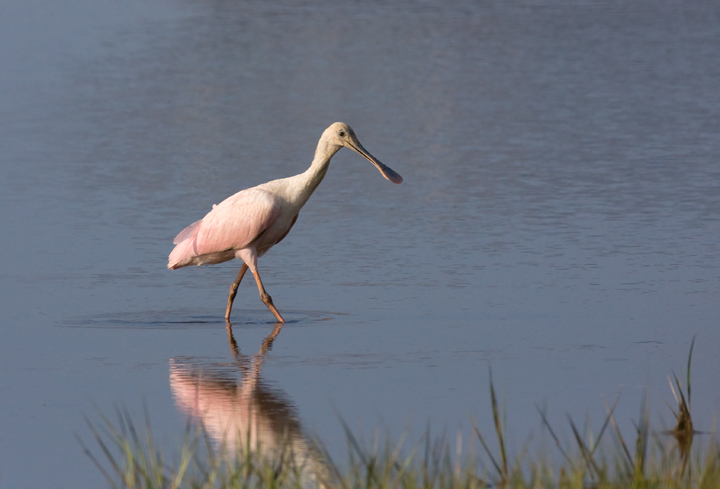 Above and below: Delaware's first record of Roseate Spoonbill, Sussex Co., Delaware (6/25/2009). 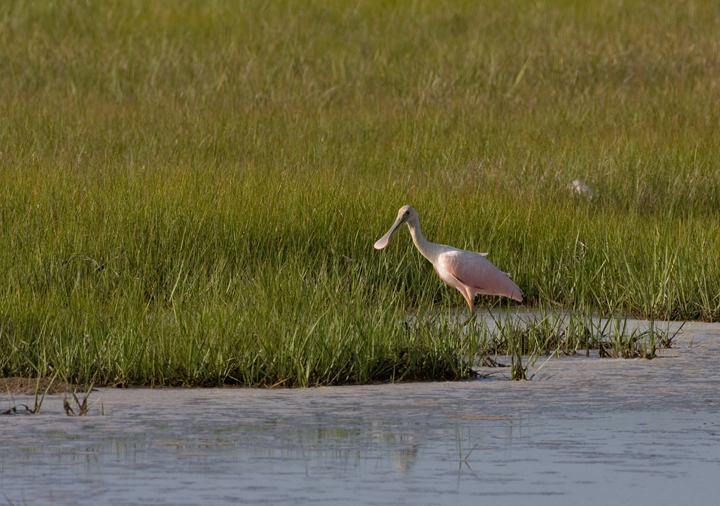 This bird has been spending most of its time within just a few hundred yards of the Maryland line! 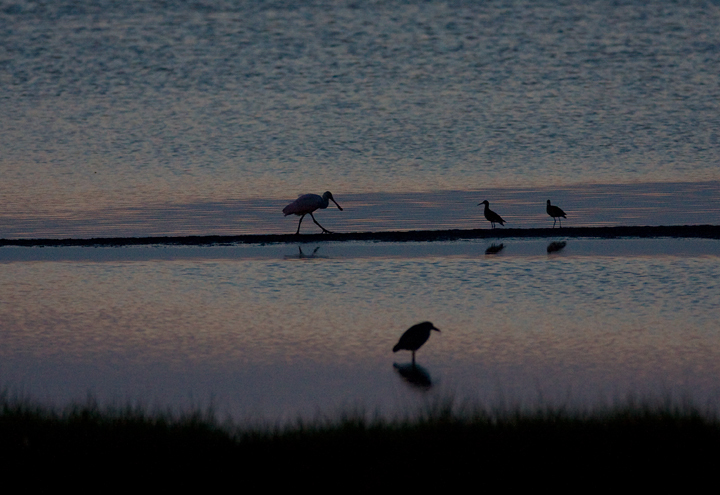 The evening shift--the Roseate Spoonbill forages at dusk beside two Willet and a Black-crowned Night-Heron. 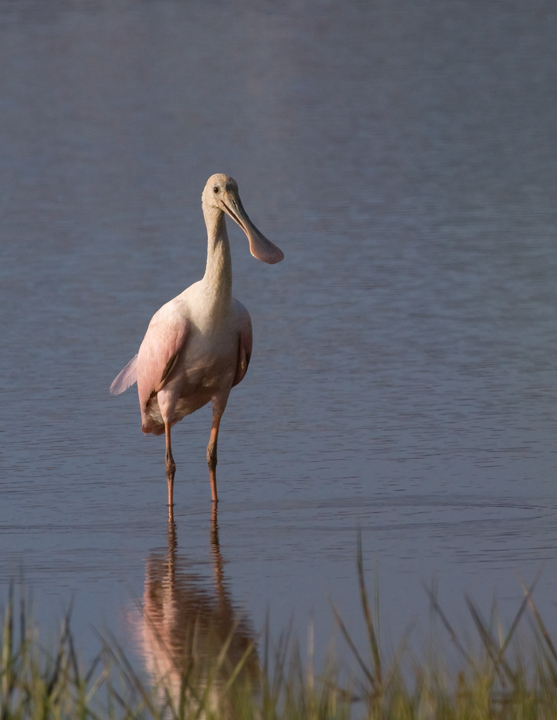 To our surprise, the spoonbill did not go to roost during the large dusk flight, but settled in on a mudflat out on the marsh. 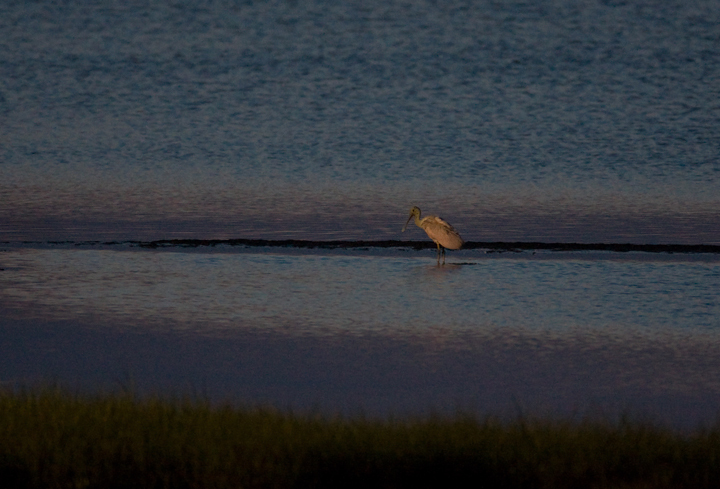 An experimental shot taken in darkness by the light of Catch 54 at 1600 ISO and a low aperture. 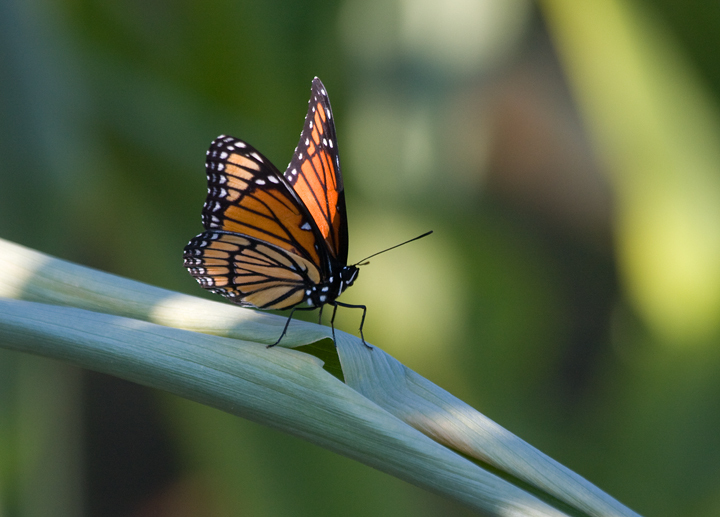 Below: A fresh Viceroy in Prince George's Co., Maryland (6/27/2009). 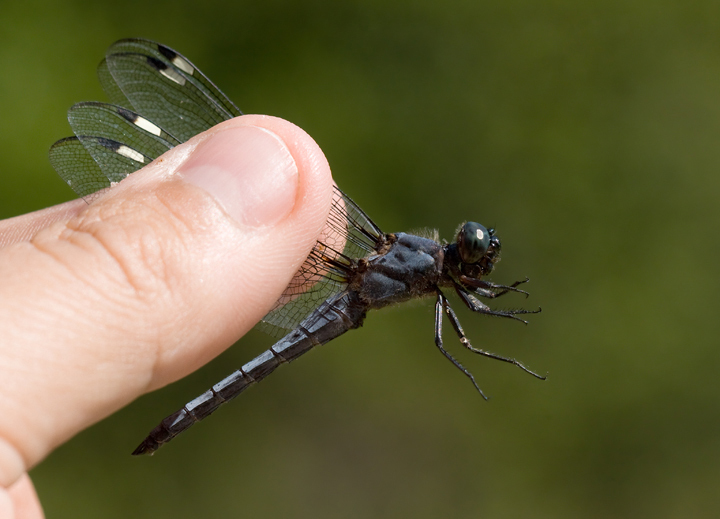 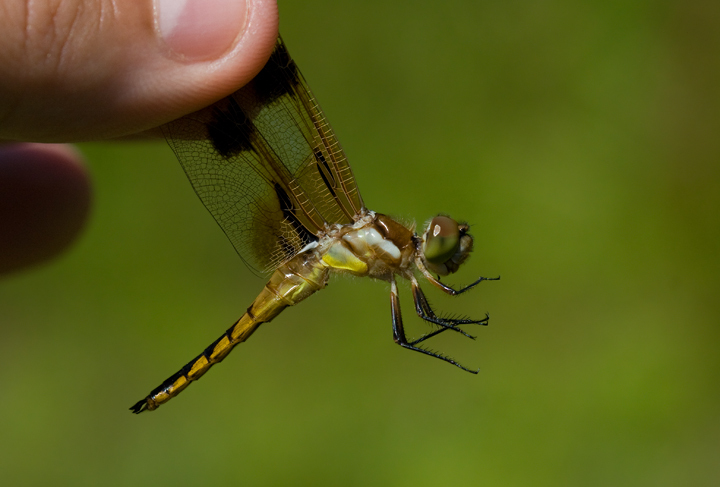 Below: A Black Saddlebags in the Nanjemoy area of Charles Co., Maryland - in hand and posed (6/25/2009). 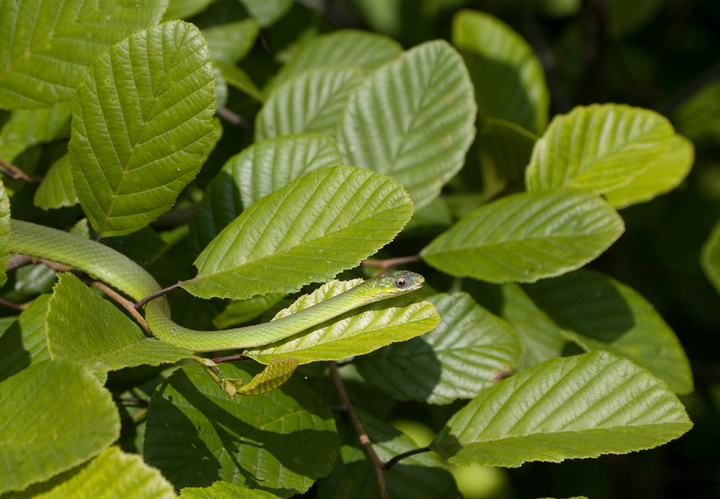 Below: A Rough Green Snake in its element, Prince George's Co., Maryland (6/27/2009). 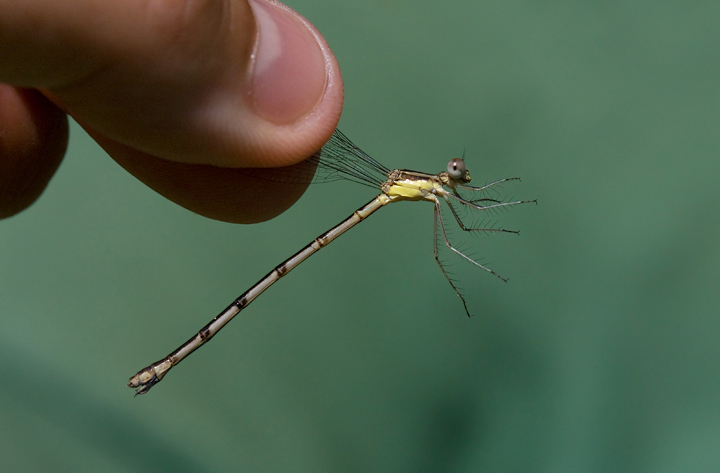 Below: A Slender Spreadwing in the Nanjemoy area of Charles Co., Maryland (6/27/2009). 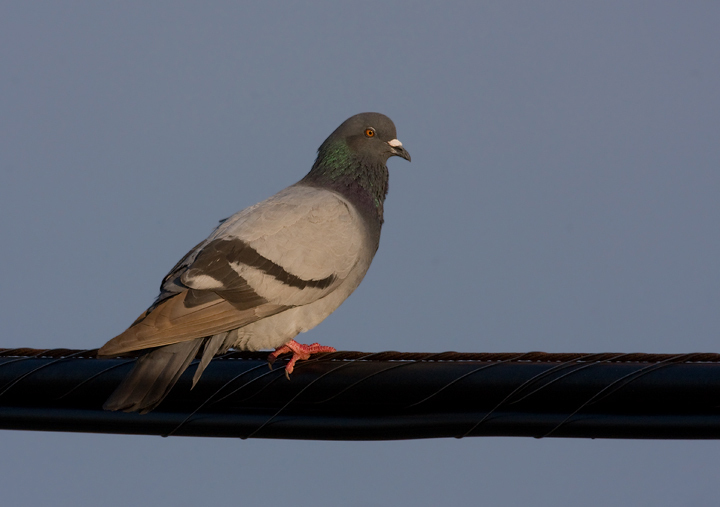 Below: A Rock Pigeon poses in nice light while we wait for the Roseate Spoonbill to fly across an imaginary line (6/25/2009). 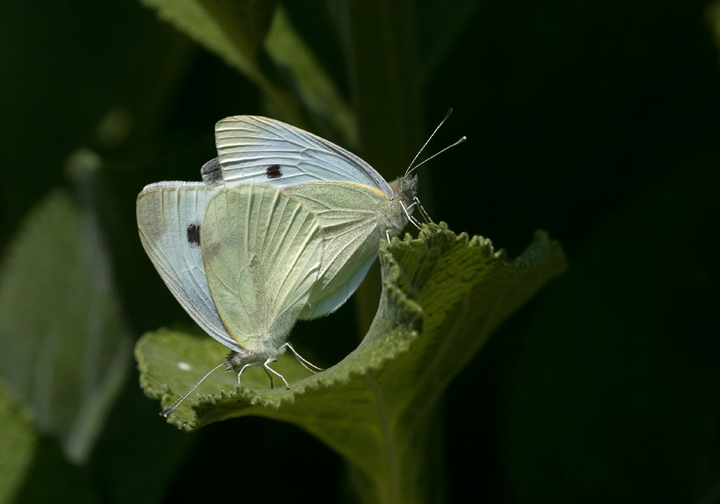 From the archives: Cabbage Whites mating in Garrett Co., Maryland (5/30/2008). 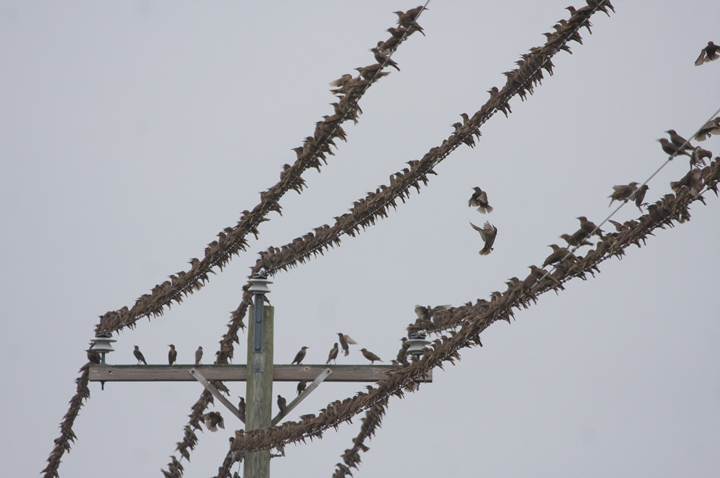 From the archives: Post-breeding European Starling abundance (Wicomico, Maryland, 2008). 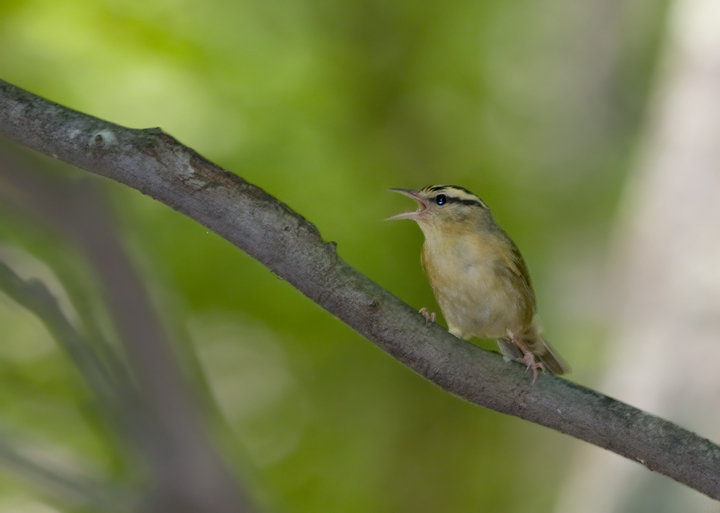 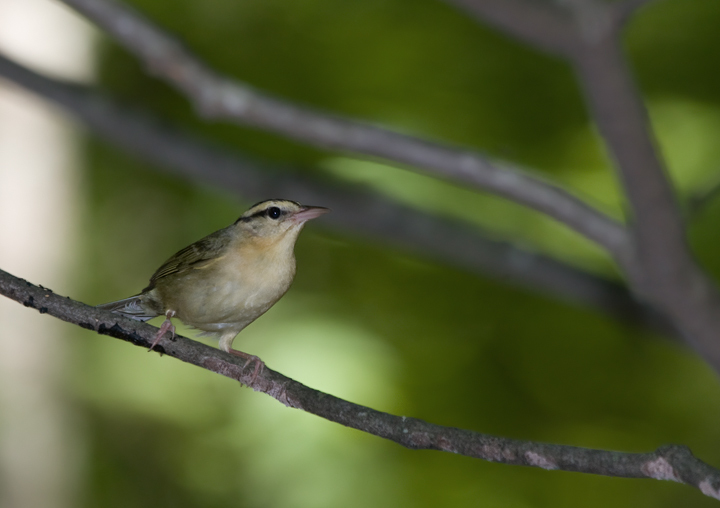 From the archives: Worm-eating Warblers in Green Ridge State Forest, Allegany Co., Maryland (6/7/2008). 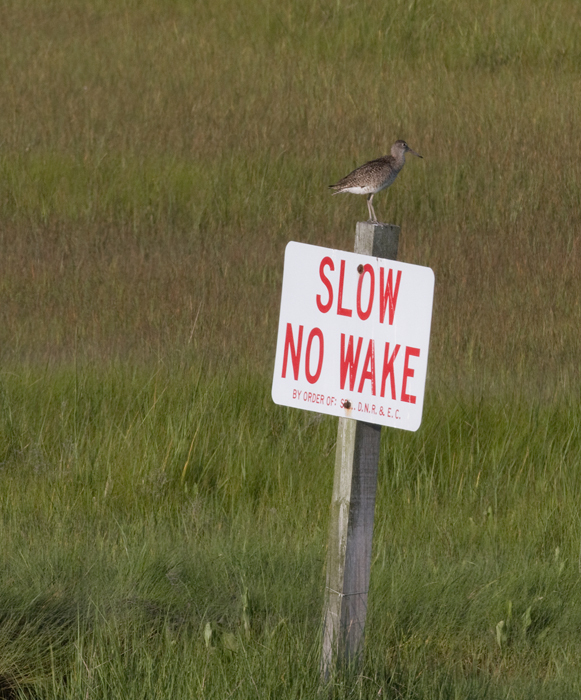 Below: A nesting Eastern Willet perches on a sign near the Roseate Spoonbill's favorite patch (Sussex Co., Delaware, 6/25/2009). 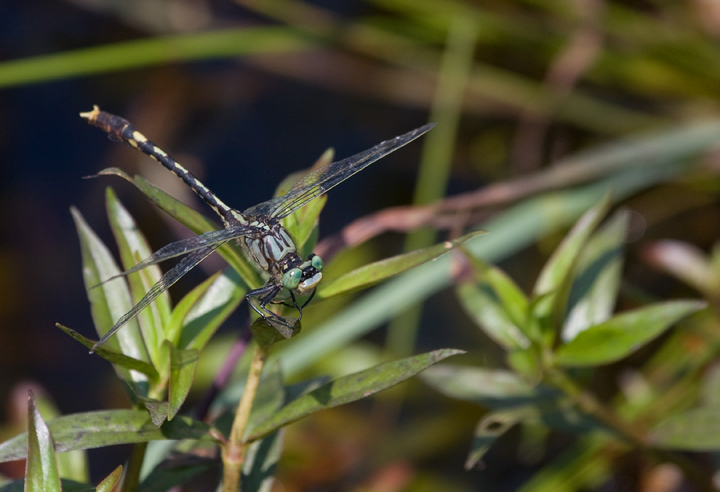 Below two: Unicorn Clubtails in western Prince George's Co., Maryland (6/28/2009). 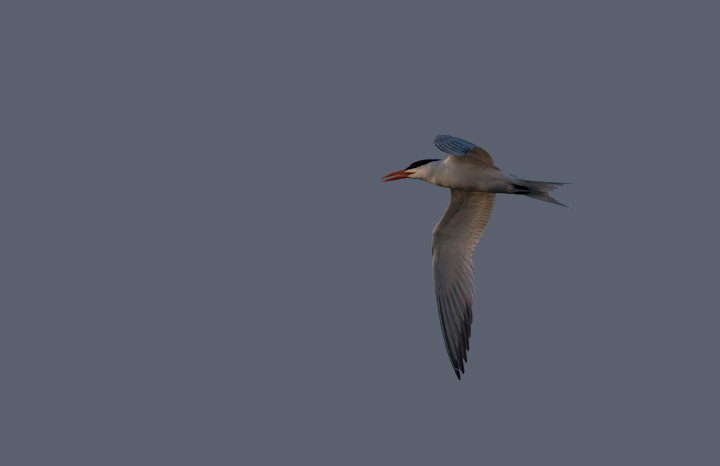 Both images photographed in situ. 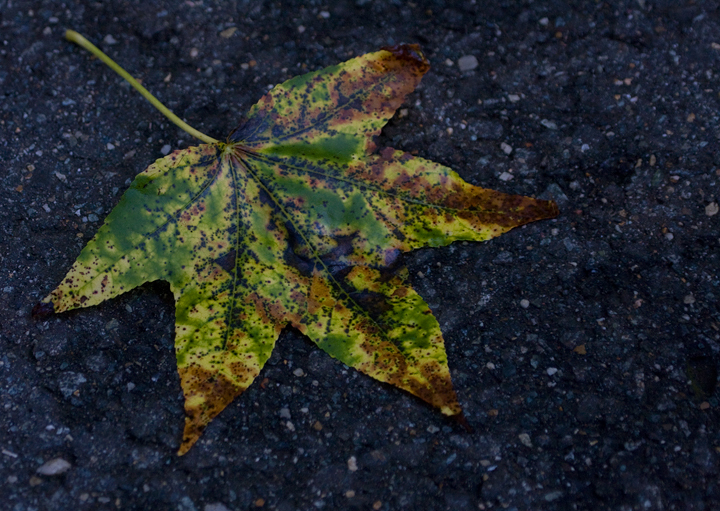 A Sweet Gum leaf is reborn as a digital image. 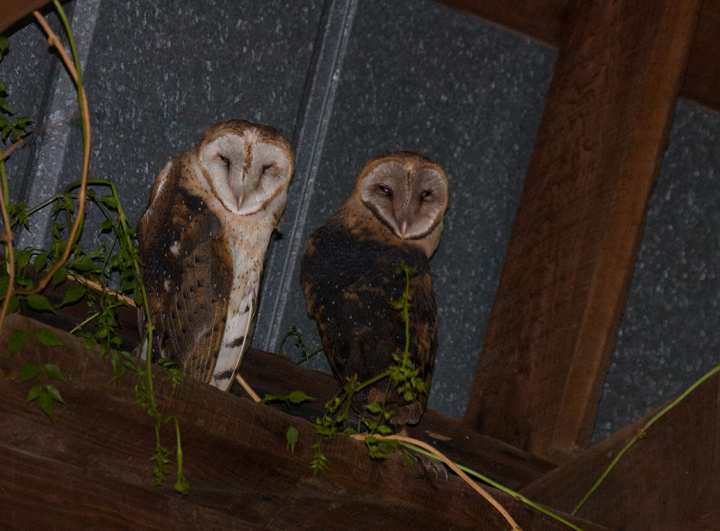 Below: Two Barn Owls are quickly documented and left at peace (Some Barn, Maryland, 6/2009). 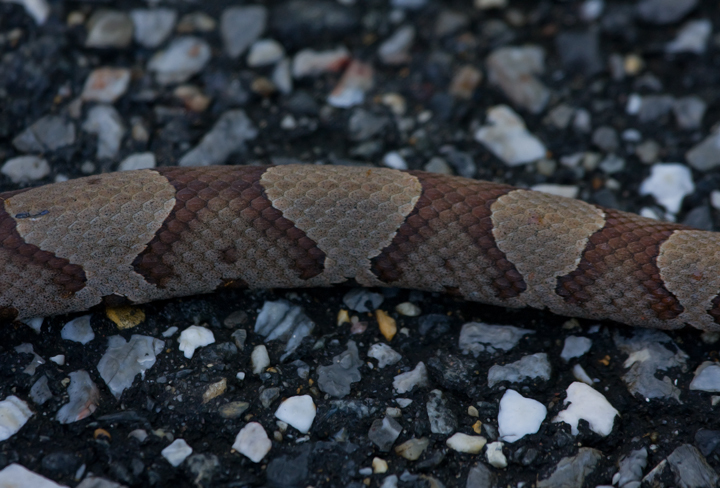 Below: The beautiful pattern of this road-killed Copperhead is admired for the last time on a Charles Co. road (6/27/2009). 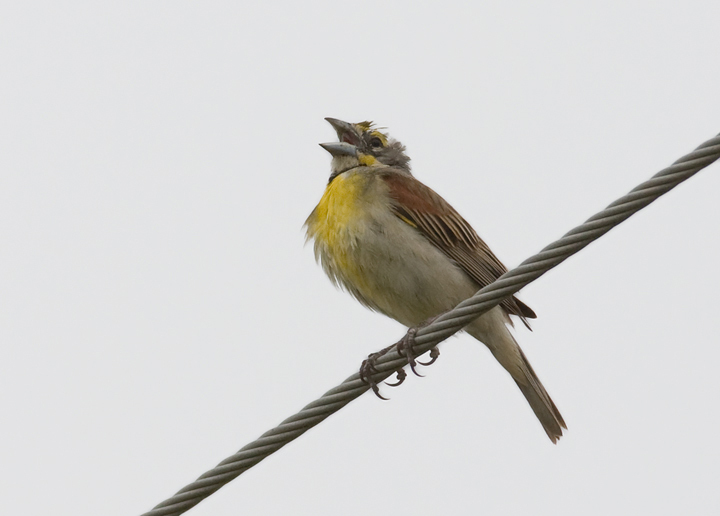 Below: One of two male Dickcissels singing on territory at Beauvue Ponds, St. Mary's Co., Maryland (6/28/2009). 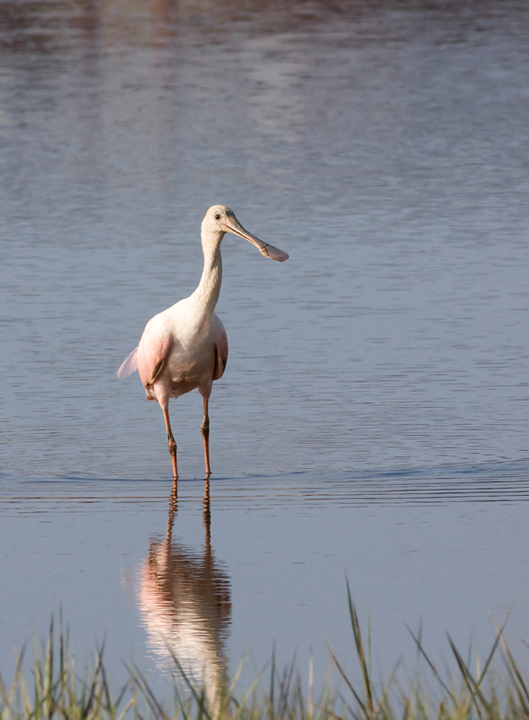 This individual is missing many of his crown feathers. 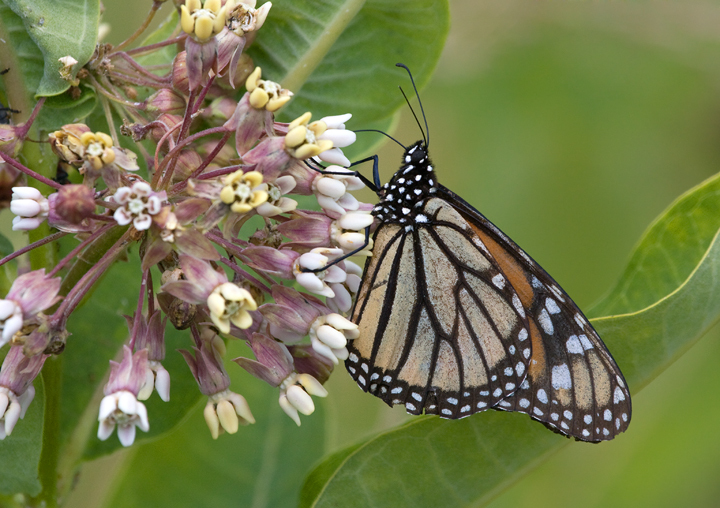 Below: A worn Monarch on milkweed in Prince George's Co., Maryland (6/27/2009). 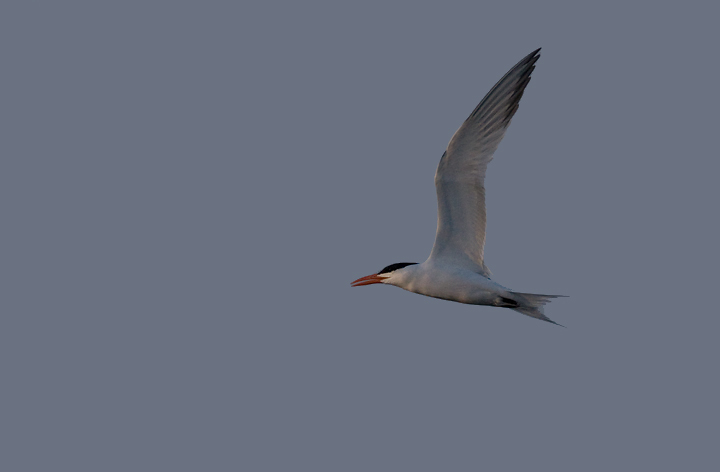 Below two: A Royal Tern heading south in the dusk flight in Sussex Co., Delaware (6/25/2009). 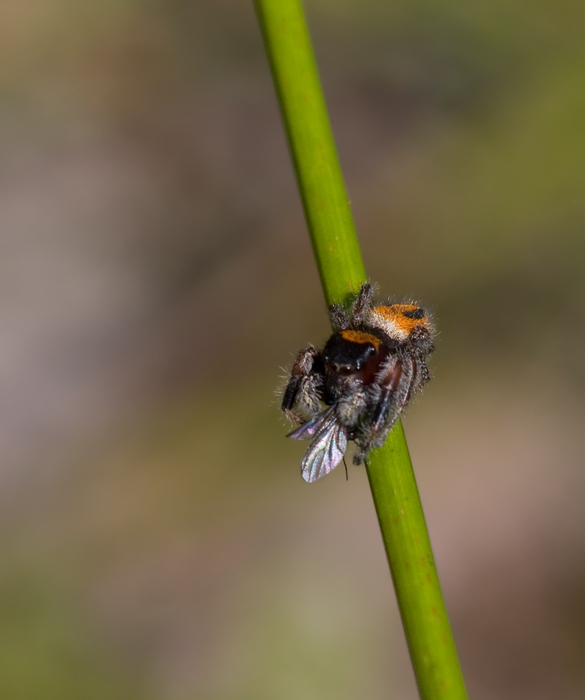 Below: A small jumping spider in the Nanjemoy area of Charles Co., Maryland (6/27/2009). 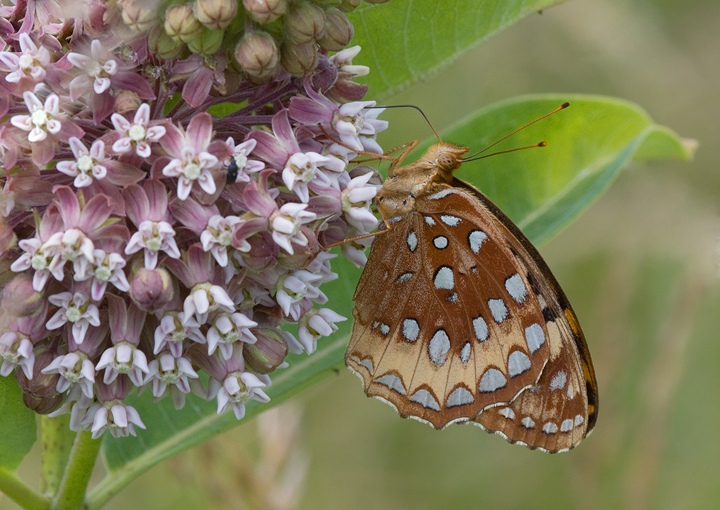 Below: A closed-wing view of a Great Spangled Fritillary on milkweed in Prince George's Co., Maryland (6/27/2009). 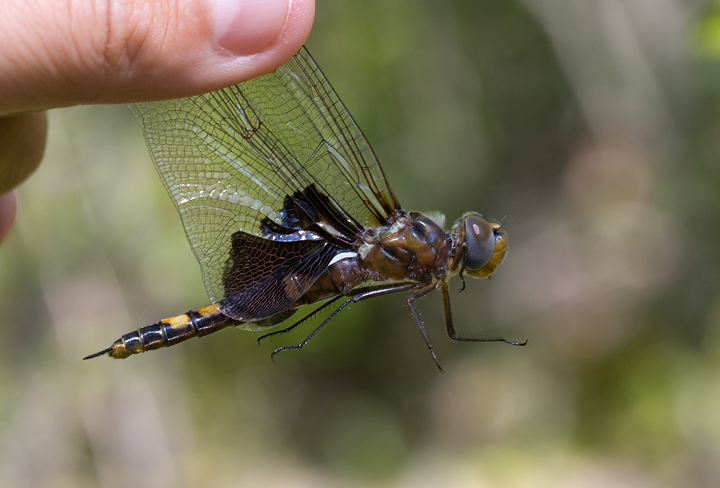 Below: A Spangled Skimmer in the Nanjemoy area of Charles Co., Maryland (6/27/2009). 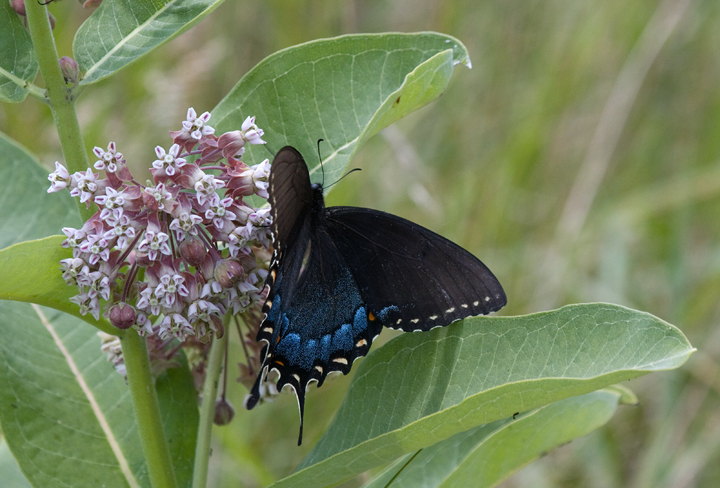 Below: The dark morph of Eastern Tiger Swallowtail nectaring on milkweed (P.G. 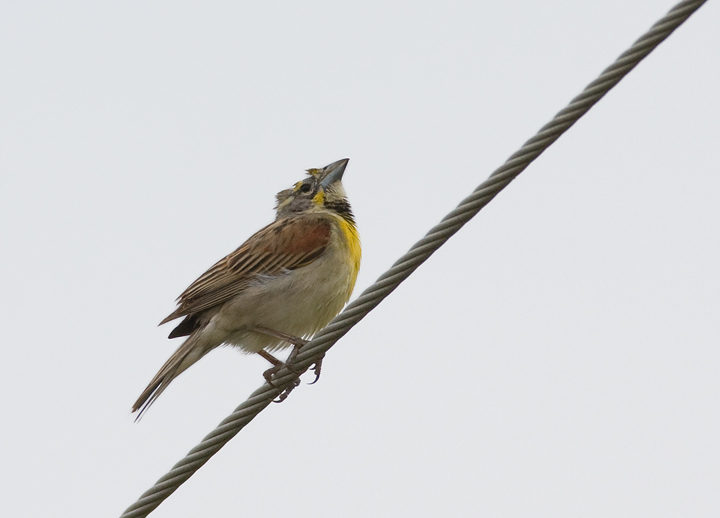 Co., Maryland, 6/27/2009). 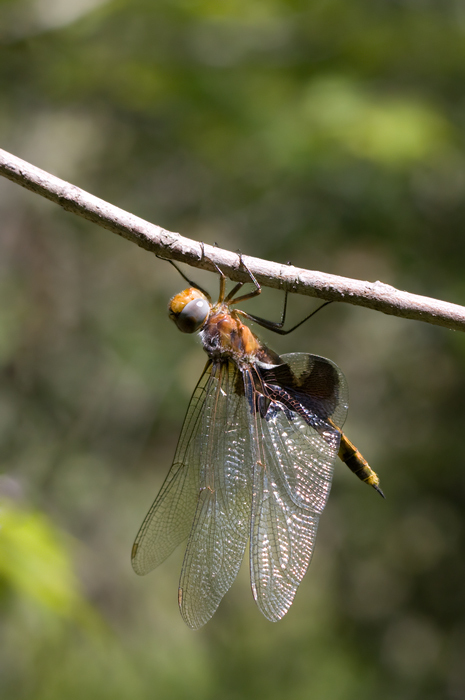 Below: A Painted Skimmer in the Nanjemoy area of Charles Co., Maryland (6/27/2009).